There’s a climbing frame and slide in the children’s book section! And a colouring table. Yay! 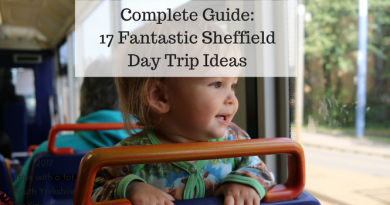 Eric loves this and it’s just a quick option for when he wants something to do and we’re in the city centre. Plus, it’s free to visit. 2. There’s a lovely family friendly cafe which serves nice cakes (including gluten free and vegan options), sandwiches and snacks, plus hot and cold drinks. High Chairs are available and there is a box of toys, with books and colouring, too. Kids can get a free baby chino and there are changing facilities available. 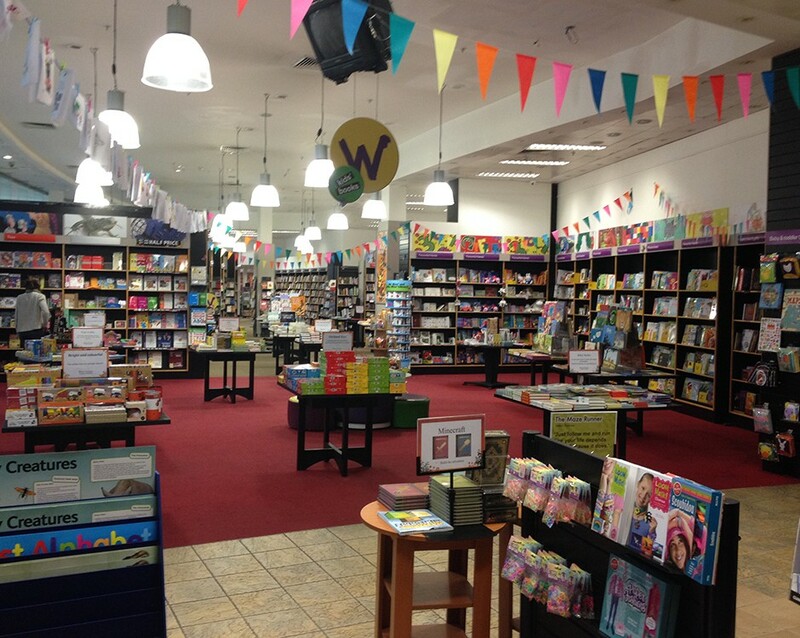 3. Who doesn’t love a good book shop?! 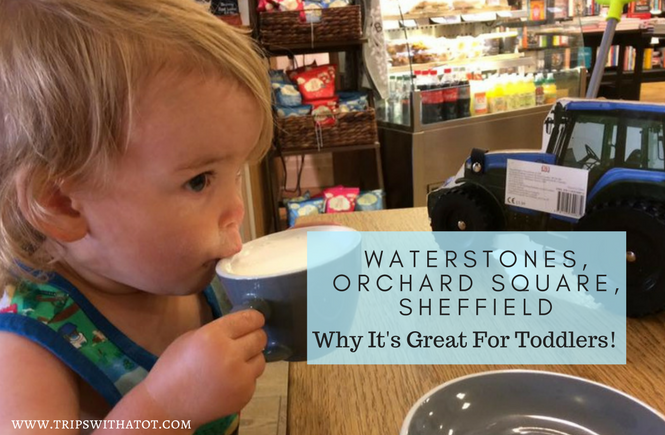 Waterstones is a relaxing place to be and if you love books, you’re in the right place. But, it’s also a great place for nice little gifts and educational children’s toys/activities. Aside from a fantastic variety of books for adults and children of all ages, there is a lovely range of gifts, greeting cards, board games and trinkets. I recommend signing up for their free loyalty card – the points do stack up and it’s a great option for treating yourself or using your points for a christmas/birthday gift. 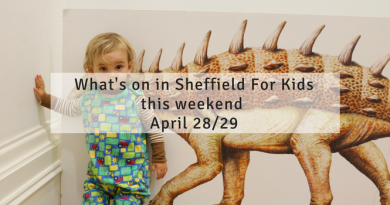 Plus, there’s often cool little extras happening for children at this store, such as singing and story time sessions free of charge in the school holidays, childrens book competitions, book singings and much more; I recommend signing up to their free newsletter to keep up to date with that. Thanks for reading! I hope you found this useful. 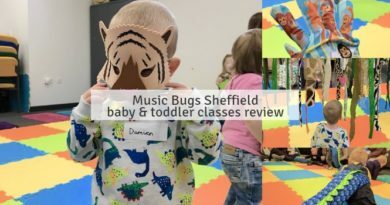 Please don’t forget to subscribe to my blog, and if you like finding out little places to go in Sheffield with kids be sure to follow my Facebook page where I’m always posting things on there for you to find out. That featured photo with this precious baby sipping from the cup made me click on the article! TOO FREAK’N CUTE! Awesome article. I love all the things you write about, even though I’m not from your area I still feel like I’ve been there after reading your post!